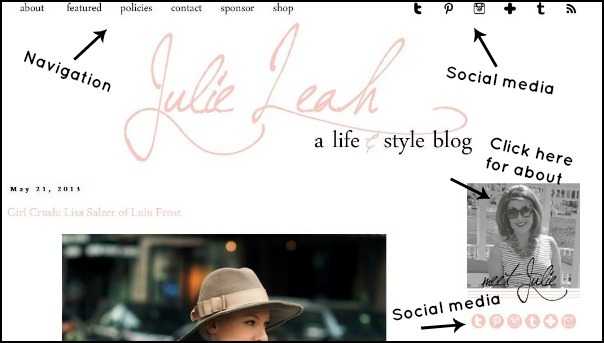 As you've certainly noticed by now, my sweet friend Alison (of the blog Long Distance Loving) gave me a pretty amazing blog redesign last week. I hate to continue to gush over it, but I just love it. You know how you feel when someone just gets you? Yep. She just gets me. Since Alison tweaked and revamped a few things, I thought it may be helpful for you to know where everything is and what you can find within the new design. 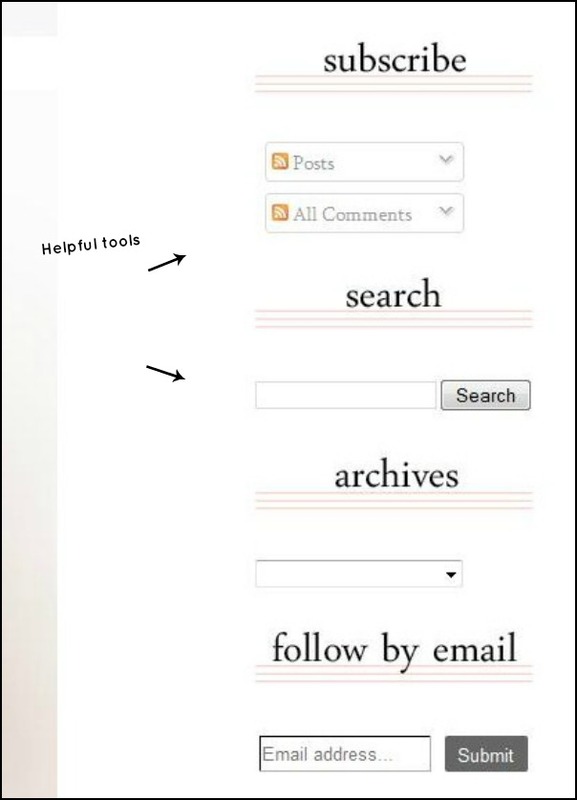 I think a navigation bar is very important in a blog design. 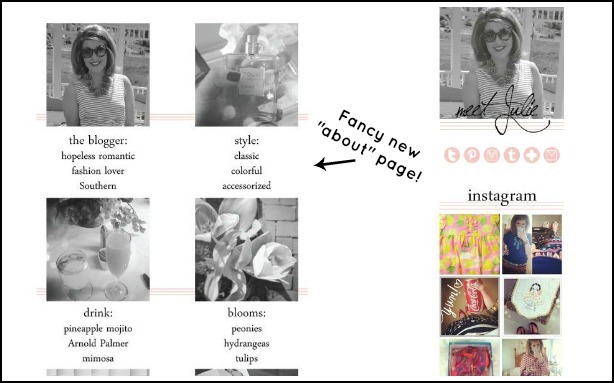 In mine you'll find my new about page (which is really fun! ), guest posts and features from fellow bloggers, my blog policies and sponsorship information, and a new shop feature (which I'll get to in just a minute!). As Alison reassured me, you can never have your contact information (or social media links) listed too many times. So you'll find them along the top and under my photo. Alison created a fun about page for me (which I think is also a really important feature of any blog!) using my instagram photos. I fell in love with this idea as soon as I saw it! I wanted to use images but didn't want to run the risk of stealing or borrowing someone else's work - what better compromise than everyone's favorite photo app to save the day?! Now, to the shop page! This is a feature that I've been wanting to create for a while but like so many things, just couldn't get around to it. Now, some of my favorite seasonal pieces can be found curated beautifully in one place! There are some "themed" posts that I write that you readers just seem to love and gravitate to. So, why not put them in one convenient place? Alison created these great labels for me (using my IG photos, too!) which link to posts about that particular topic. And finally, just some helpful tools that some of you may have never known are there! Located at the very bottom of my sidebar are these helpful little tools to help you get around the site. Looking for something? Use the search! Remember a post from a while back and want to revisit? Browse the archive! I hope you all found this helpful. I guess I wrote it from experience. In the past I've found that when a favorite blogger has gotten a new design, I've struggled for a while becoming familiar with where everything moved! I also wrote this post as a segue to another post that's coming very soon in my blogging tips series about effective blog designs :) In the meantime, you can browse those posts here! Fabulous, she has done a great job! 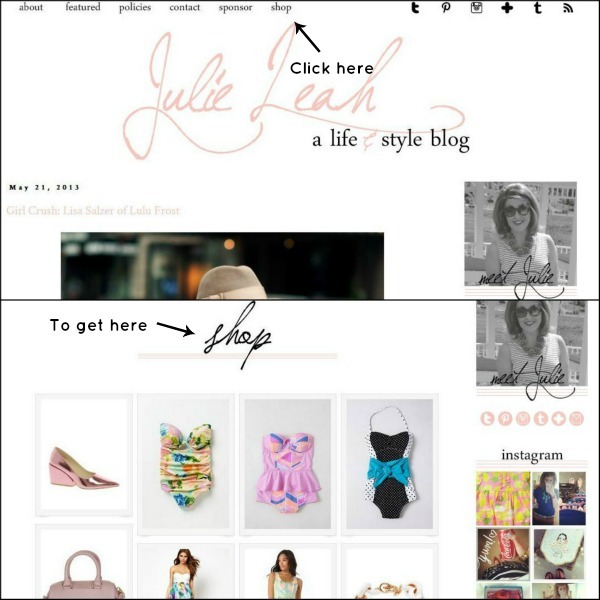 Your blog came out gorgeous! I love how the redesign turned out. SOOO fabulous!! I love it! Its fun and chic, just like you!! Congrats! love the new design (& the always lovely Alison!). 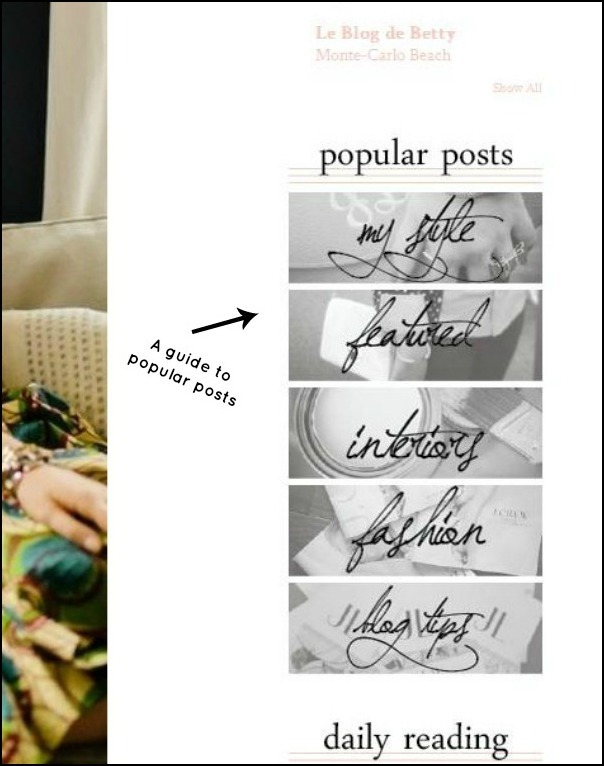 I think the guide to finding content on your blog is fantastic!